A courageous, hopeful leader, Padme Amidala served as Queen before becoming Senator of Naboo. 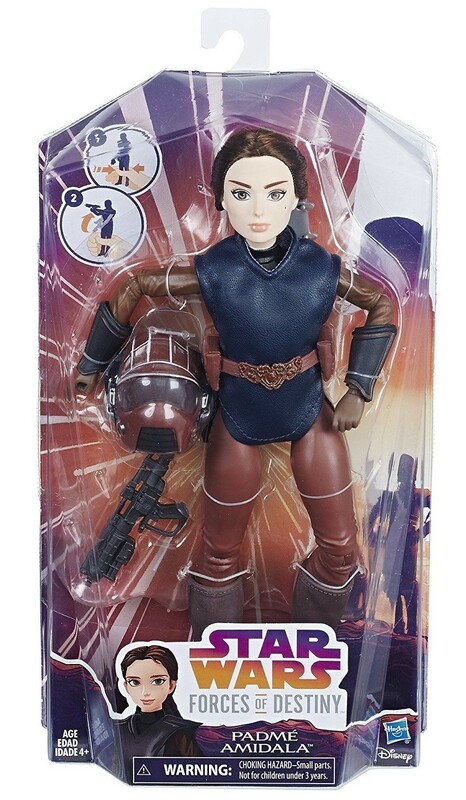 Imagine epic adventures as she uses all of her cleverness, skill, and talent to preserve peace and justice in the galaxy with this Star Wars Forces of Destiny Padme Amidala adventure figure! 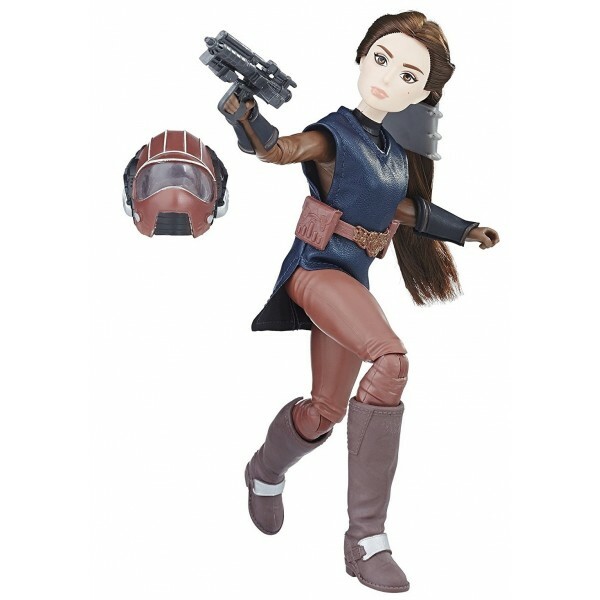 This 11" poseable figure from the Star Wars Forces of Destiny Collection features rooted hair, and a removable tunic, boots, belt, helmet, and jewelry. 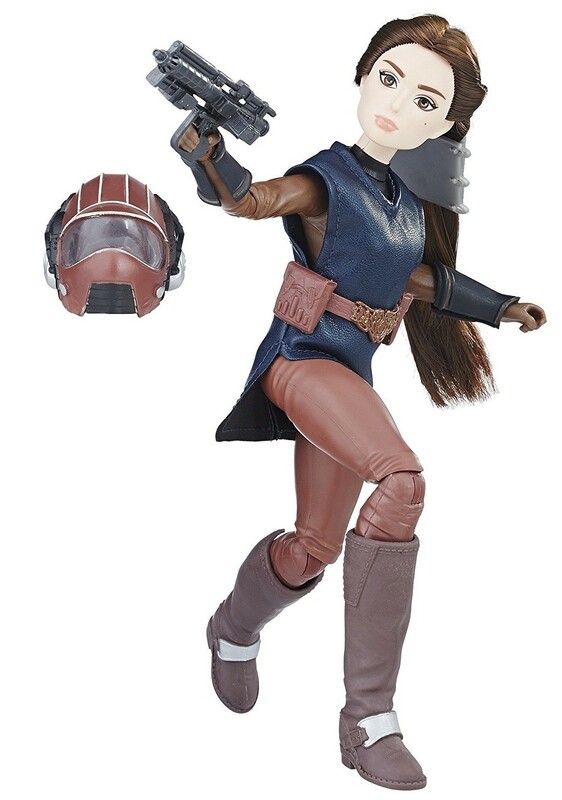 When danger arises, squeeze her legs to see her lift and aim her blaster!